Home→7828 Updates→Carriage Restorers resort to Magic Mushrooms! Carriage Restorers resort to Magic Mushrooms! You didn’t really think I meant those magic mushrooms did you? Hey ho, several years ago LMSCA volunteers devised some supports to be used when putting up new ceilings in carriages and they came to be called ‘magic mushrooms’, you can see them in the accompanying photo of Third Open 7828 at Rowsley. 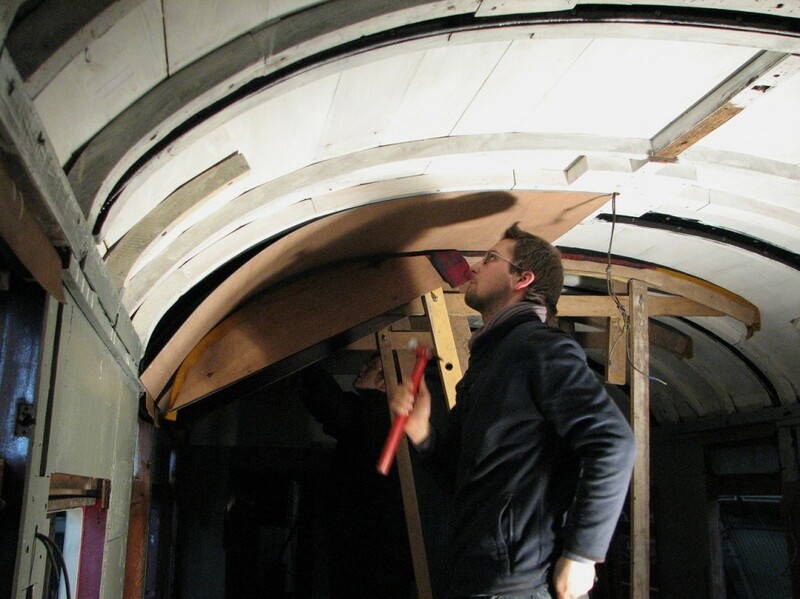 After pinning the ceiling panel to the centre line of the roof and checking alignment it is then cajoled into the curve of the roof with the help of the mushrooms which force it into shape. The alternative would be to have lots of people doing the same job and getting in each other’s way. If you had to get a locomotive overhauled you might go to Riley and Son Ltd, Ian Riley’s fine establishment at Bury, but if you want a ceiling put up the recommendation is Riley and son, i.e. Derek Riley and son Ben, here seen hard at work on 7828. 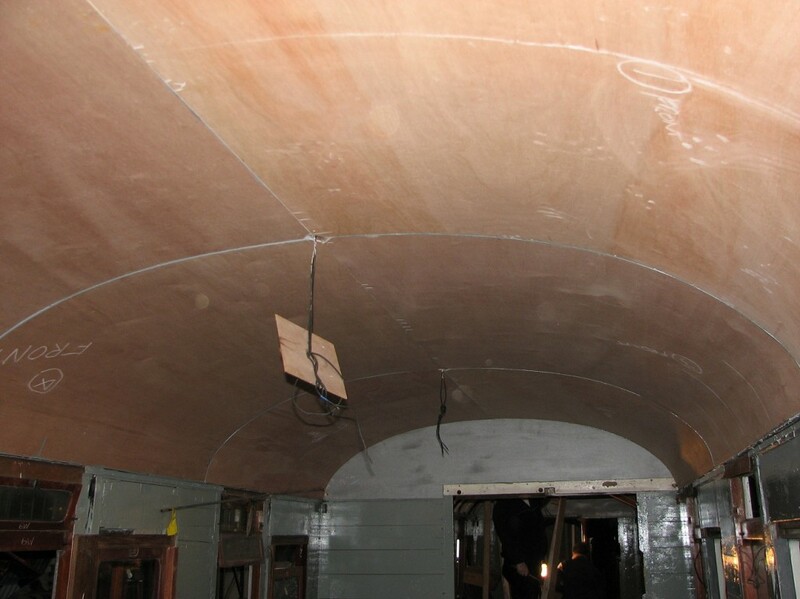 They put up the whole ceiling over last weekend, and the result in the smaller saloon can be seen in the second photo. After snagging the ceiling will receive about five coats of paint. The completion of this job will mark a big step forward with 7828.